An Puzzle-RPG that focuses on the story of the little heroes . Feel the bliss at the end of the journey. Vadelle, a royal palace that does not receive rain. Cursed monsters rise from their spells once again. Kai heads on his journey to join the rite that will seal the monsters. However, Kai encounters the secrets of the royal palace. What would Kai and his friends meet at the end of this journey? 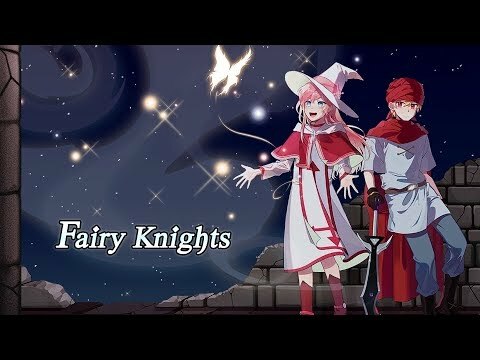 ‘Fairy Knights’ is like a classic JRPG game that one can be heartwarmed by the stories and can enjoy the development of the characters. ◈An epic around one royal kingdom’s secret and its fate. ◈Unique characters and the stories they create. ◈A story line with a heartwarming and funny humor. ◈Not just mere battling but a strategic game through puzzles. ◈Various weapons and varying skills, with numerous splendid magical effects. ◈There’s no additional in-game purchases or advertisements. ◈This game may be played without internet Wi-Fi. *there’s no additional fee or advertisement when the game is once purchased. ○This game provides 3 saving slot in one device.